Need to convert MP4 to WMV? Movavi Video Converter will do the job! MP4 is an extremely popular video format which is supported by most media players, thanks to its high quality compression. This means that MP4 files don’t get too large but your movies and clips are still of acceptable quality when viewed on the big screens. However, you may still face one of the following problems. An MP4 file can’t be viewed? Probably, your device is just too old, predating the MP4 format. You can still change the file type to the one your device handles – all you need is the right kind of app. The file is played with no sound? The audio codec in your file may be incorrect. To solve this one, just choose the right audio codec – a good media converter can help you out. No free space for a new clip? Even though MP4 clips don’t take much space, it can be a problem to fit them on some old devices. A good idea is converting your clip changing the resolution and bitrate. Sometimes, you need uncompressed video for the best possible viewing experience or for detailed editing. In these cases, if you have a Windows-based PC, it’s better to choose the WMV format. So it’s helpful to have a converter on hand that translates files from MP4 to WMV or vice versa. What’s the best way to do this? Ask Movavi! 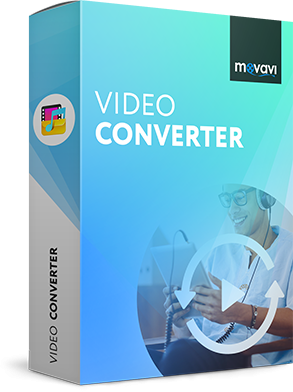 We have a great tool – Movavi Video Converter – which supports 180 video and audio formats (including, of course, MP4 and WMV) and also lets you save video and audio in an appropriate format for more than 200 mobile devices. 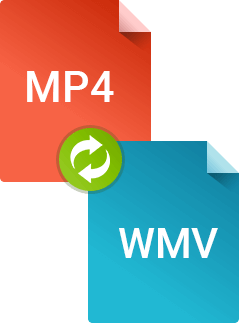 Now you can transfer MP4 to WMV or other formats within minutes! 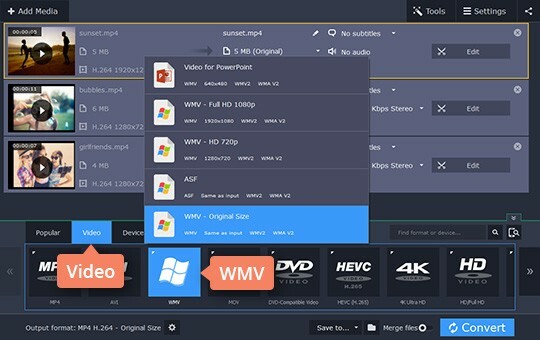 Download Movavi Video Converter and install it following the on-screen instructions. This software is intuitive and easy to use, so you don’t need to be an expert to use it! 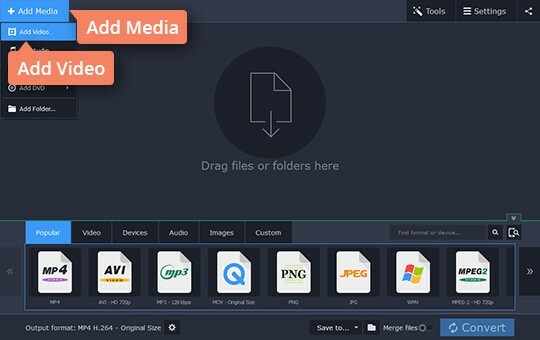 To add a file for conversion, click the Add Media button in the Video Converter interface and then select Add Video. Choose the video files you want to change from MP4 to WMV or vice versa. Go to Video > WMV and choose the appropriate WMV preset that defines your desired output format. Remember that the output file may be pretty large if you select a high resolution preset. If you need to convert a WMV file to MP4, choose the MP4 category and the desired preset. 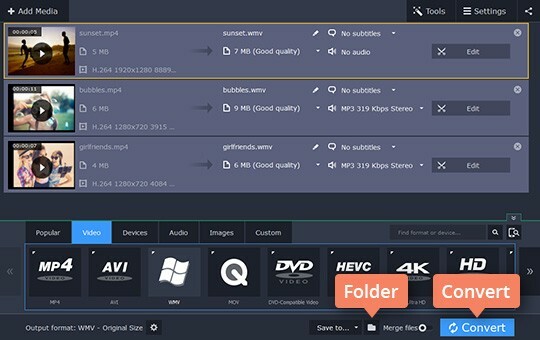 Movavi Video Converter can process a single file or batch-process multiple files in a single pass. Choose the folder for the output videos next to the Save to field and click Convert to start the process. Converting MP4 to WMV will take up to several minutes, depending on the number and resolution of the files. Once the conversion is complete, your video will be saved in the format you selected, and the destination folder will open automatically.